Of the hundreds of children in Sierra Leone who have lost parents to Ebola, the vast majority have lost both their mother and their father. Among them is eight-year-old Lamin Borbor, who sits alone beneath the shade of a large, tin-roofed gazebo, playing with a small toy car, outside the Ebola Interim Care Centre (ICC) in a quiet neighbourhood of eastern Sierra Leone’s Kailahun town. Borbor is one of more than a dozen orphaned or separated children between the ages of six months and 18 years staying at the ICC, while the Ministry of Social Welfare, Gender and Children’s Affairs (MSWGCA), alongside aid agencies, work to trace their families or find alternative family-based care. Nationwide, more than 3,400 children have been directly affected by the virus, including at least 89 children who have lost one parent and more than 795 who have lost both parents to Ebola, according to the MSWGCA/UNICEF-led Family Tracing and Reunification (FTR) network. There are no accurate figures for the number of separated children, a spokesperson for FTR said. 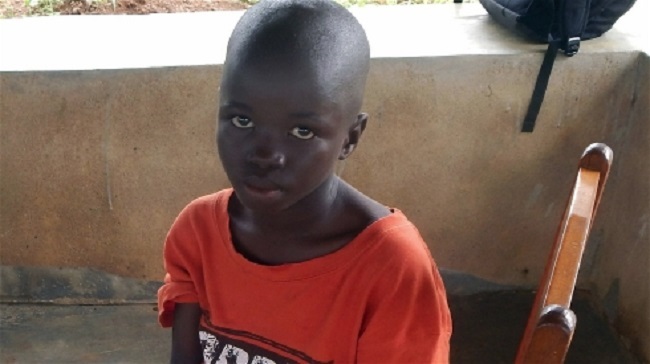 While many West African countries, including Sierra Leone, generally have a strong social network that supports children during times of hardship and need, some of these orphans are facing stigmatization and even rejection. Many of the children are also experiencing severe stress and fear after having watched the death of a loved one, or perhaps from even having survived the virus themselves. “When I’m lonely I’ll start to think about my mother and sister, and it’s very hard for me,” said 17-year-old Bridgette Alpha, whose mother, a nurse, and older sister, died from Ebola. Her father died four years ago. “I’m always in constant fear. I’m afraid to sleep at night,” she said. Authorities say they are doing everything possible to reunite these children with relatives, but that isn’t always possible. The latest data from a 12 November FTR survey found that at least 520 children have now received psychosocial support services in Sierra Leone and 200 have been either reunited with their families or placed in foster care, in accordance with the international Guidelines for the Alternative Care of Children. For those children whose families can’t be immediately located, they are temporarily sent to an ICC, such as the one in Kailahun, where trained caregivers provide them with a safe place to stay, along with psychosocial support, until they can be reunited with their extended families. For the moment, this ICC, which is run by the government and funded by partners such as Save the Children and UNICEF, is the only one of its kind in Kailahun. A second Ebola ICC opened earlier this month in Port Loko. Some children stay just a few days at the ICC, others a few weeks. Like many of the children who have been in contact with an Ebola case, but are not showing any symptoms of the virus, Falma is under a 21-day surveillance. Caregivers – many of whom are survivors themselves – check the temperatures of the children each morning and monitor them closely for the first signs of sickness. They also give them the attention and affection that many others are too afraid to. Fanta Lavaly is one such volunteer. She has been working in the Kailahun ICC since she recovered from Ebola in September. To help regain a sense of normalcy and routine, the centre offers the children a space to play and coordinates recreational and social activities. Bah said they are now looking to employ teachers to give lessons during the day to the school-aged children. If, and when, a child’s extended family are located and they are declared Ebola negative, aid agencies help to reintegrate the children into their new homes and communities. Families are debriefed on how to work with and care for a child who has experienced a distressing event, like Ebola. Those children that are sent to live with extended families are given social welfare assistance and provided with reintegration kits, including household items, such as a mattress, bedding, small food items, clothes and dishes to help ease the burden of taking in an extra child during, what is for many families now, an already difficult time. For now, international adoption is not being considered as an option for those children whose families can’t be located, according to Matthew Dalling, a chief child protection officer for UNICEF in Sierra Leone. For those children at the ICC who need a place to stay longer-term, while waiting for foster care placement or local adoption, Plan International is now constructing a boarding home in Kailahun. The children, however, while very appreciative of such centres, say they just want to go home.